Signage for every purpose imaginable! Signs… this is a big category, but whether it’s big and wide, tall or small, Spectrum Signs does them all! 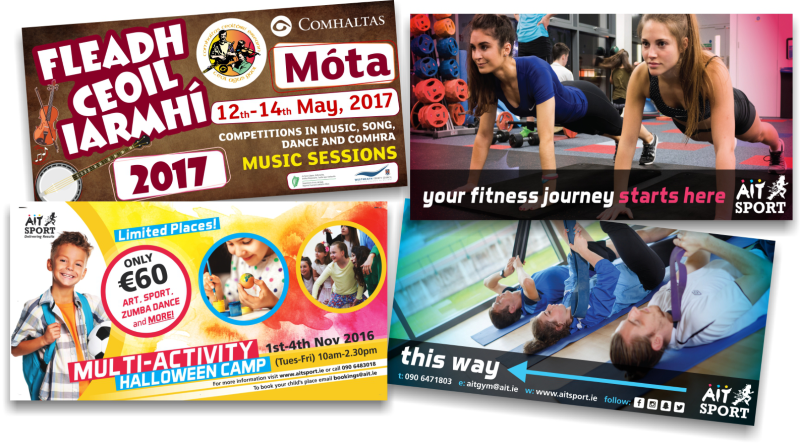 If you need fast turnaround on a simple small sign or you need a thousand to promote an event, we have the solution. We plan, design, print, build, weld, paint, illuminate and install every kind of sign imaginable from the smallest, to the biggest freestanding totem signs and everything in between. Dibond is a very versatile material with a PVC core and an aluminium skin on each side. We use it for all kinds of general signage that requires a longer life. It can be fitted to any framework or surface as flat panels, and it can also be machined and fabricated using unique techniques that we have developed over many years working with this material, giving an added dimension of substance and quality to any sign. 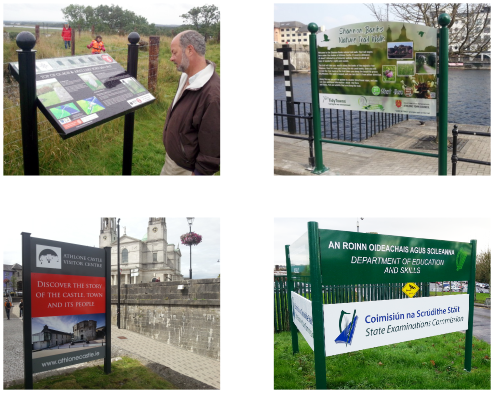 Panel & Post Signs are used for many purposes from showing you the way in a business park to telling you the history of a heritage site, or all about the flora and fauna on a nature walk. They can be made to any size, and our frameworks and posts finished to any colour, either sprayed or powder coated. 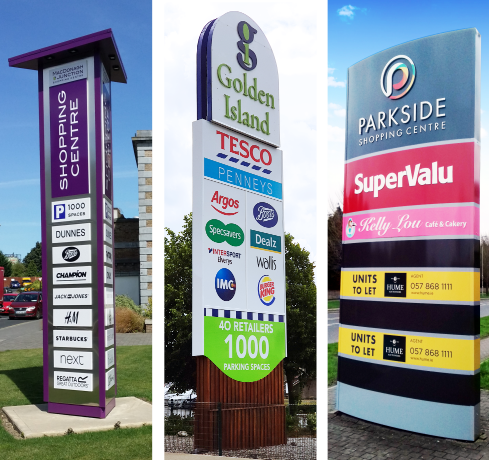 Freestanding Totem or Monolith Signs are used mark the entrances to shopping centres and industrial estates to allow the public to see the names of the retailers and businesses that operate within the area. 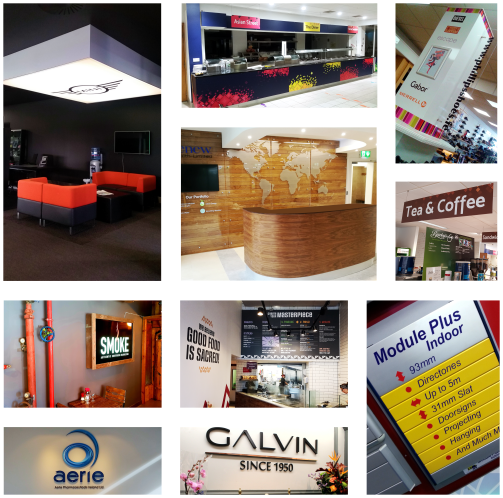 They are also used to make a stylish first impression for stand-alone businesses like hotels and industrial units. At Spectrum signs, we have developed our own techniques for building the internal frameworks and groundworks, making sure that the entire structure is as strong as it possibly can be. 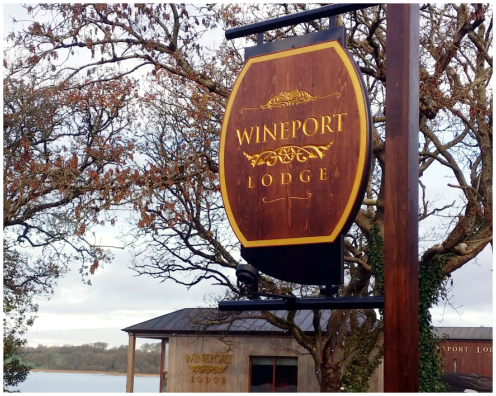 Our Totem Signs can be constructed with Dibond or aluminium and can be illuminated from within with the highest quality LED lighting. Spectrum Signs provides a multitude of sign ideas for hundreds of interior applications that are way to big to list here!